Since its establishment, the Israel Cancer Association has played an important and active role in supporting research of cancer diseases. Research is vital for keeping pace with and adding to the general reservoir of knowledge, the building blocks of important breakthroughs. New treatments, such as bone marrow transplants, would not be possible without the backup of on-going related research. Today's molecular biology and genetic engineering research is on the threshold of tomorrow's treatments. ICA promotes research to better understand the etiology of disease and to improve the means of mitigating it through basic, clinical, translational, epidemiological and psycho-oncology research. Each year the ICA receives about 120 new research proposals from which the Association selects 40 new fellowships. 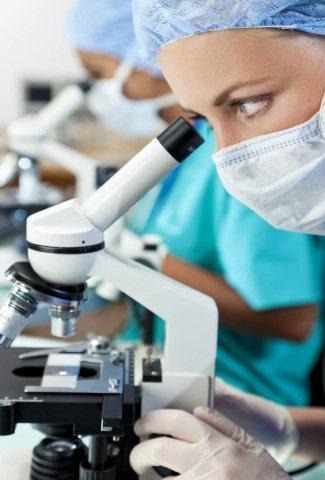 The fellowships are awarded to research scientists and doctors who work with research and medical authorities in Israel. Israel's finest research scientists who serve on the ICA Research Committee appoint at least 2 external reviewers who examine and assess each and every grant application according to its importance, standards of excellence, originality, relevance to promoting cancer research in Israel and worldwide, and the researcher's ability to conduct the research. The grant for the first year ranges from $22,000-$52,000 with a 1-year option to extend. After grading all proposals, the committee members decide on the exact amount, according to the needs of the research, the rating awarded to the proposal, etc. To enable research scientists to start conducting their research, ICA transfers the grant to the researcher from its general budget, and meanwhile seeks sources of funding for those research studies deemed worthy of funding. A list of approved research projects is published each year in the ICA Annual Report, published in Hebrew and in English, crediting the donor. According to an agreement ICA has obtained, the research institutions cannot offset their overhead costs against budgets received from ICA. Since cancer knows no geographical boundaries every research breakthrough is applied both in Israel and worldwide. Thanks to these achievements obtained through research grants, universal implications have been attained in the promotion of the fight against cancer. Help fund a two-year Research Grant - US$ 22,000 or fund a two-year Grant for Outstanding Research - US$ 52,000. Kindly contact us, should you wish to contribute to this project. Please note that all donations received are transferred in full (no overhead is taken).